This is the first collaboration between Nigul and Mensa. After recording a few sessions of improvised material they have joined forces to consolidate a two track album with wide open soundscapes and extensive drones everything mixed to construct a geography where the dark ambient of Nigul meet the shinny textures of Mensa. All tracks recorded live by Jaume Muntsant and Edu Comelles. Mastered by Jaume Muntsant. 2008. 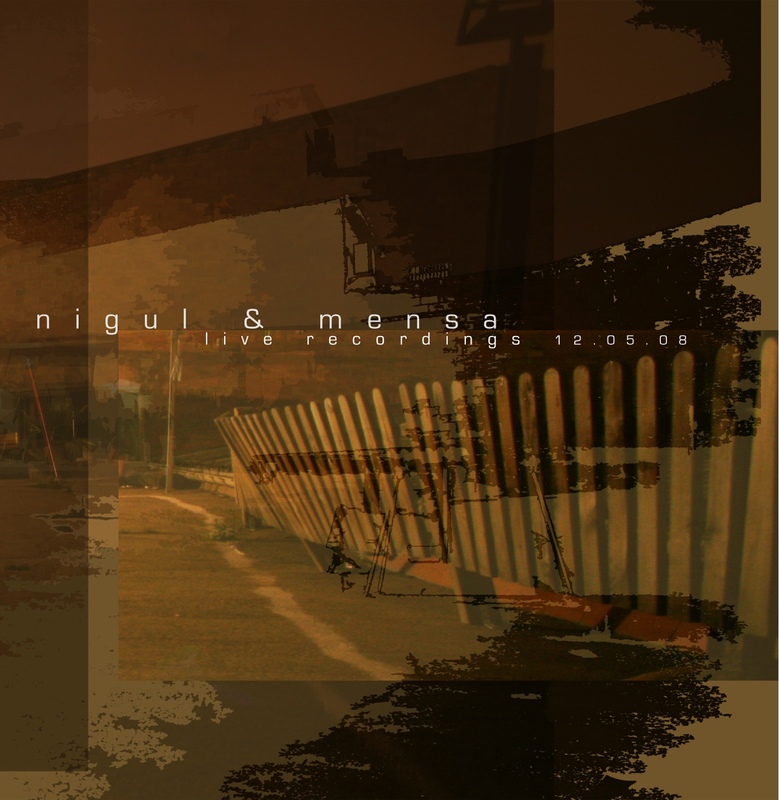 Live Recordings by Nigul + Mensa is licensed under a Creative Commons Reconocimiento-NoComercial-CompartirIgual 3.0 Unported License. Permissions beyond the scope of this license may be available at http://www.educomelles.com.